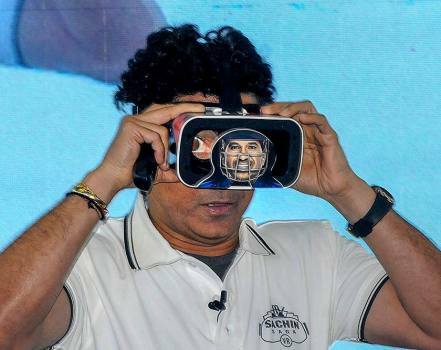 Former Indian cricketer Sachin Tendulkar during the launch of Sachin Saga VR Game - India's first virtual reality cricket, in New Delhi. 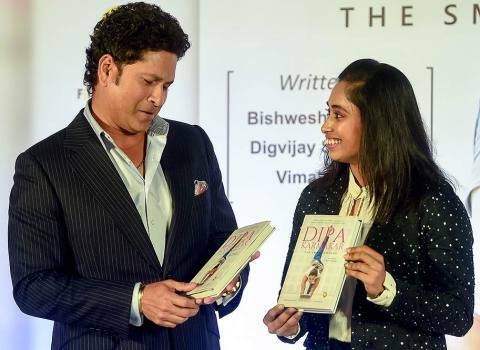 Veteran cricketer Sachin Tendulkar with gymnast Dipa Karmakar during the book launch of 'Dipa Karmakar: The Small Wonder', in Mumbai. 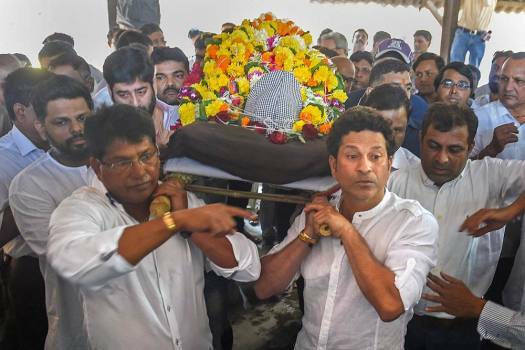 Former Indian cricketer Sachin Tendulkar attends the funeral procession of his coach Ramakant Achrekar, in Mumbai. 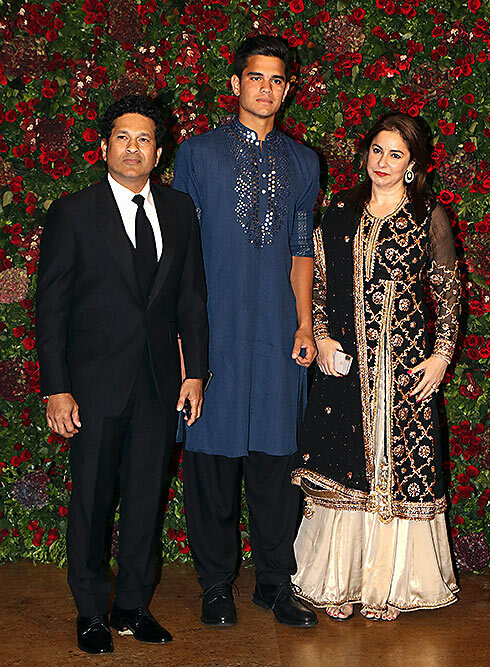 Cricket legend Sachin Tendulkar with wife Anjali and son Arjun during the wedding reception of actors Ranveer Singh and Deepika Padukone in Mumbai. 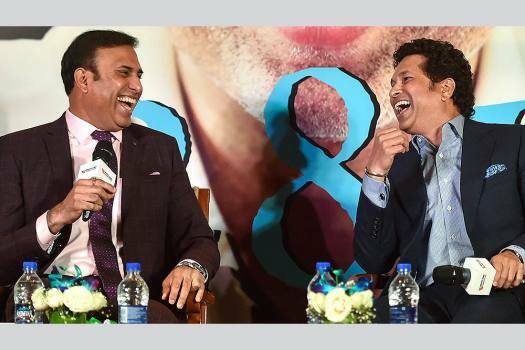 Former cricketers VVS Laxman and Sachin Tendulkar at the launch of Laxman’s autobiography ‘281 and Beyond’, in Mumbai. It is a big moment for me and my fans that a man wearing a turban and representing Sikh culture has a wax statue here for the first time,Diljit Dosanjh said. Top IAF sources said though the Vayu Shakti was planned in advance, the drill was a demonstration of the force's capability to hit targets with "pinpoint accuracy" and carry out missions at short notice. 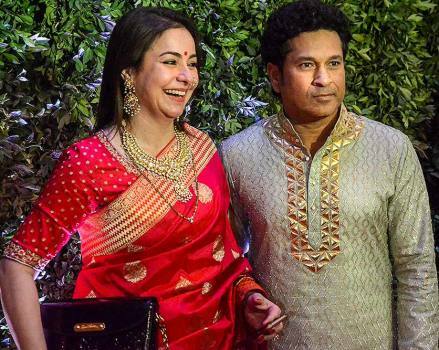 If Kohli plays another seven to eight years, he is most likely to eclipse Tendulkar's grand total of 34357 international runs, thus becoming the greatest of all time. 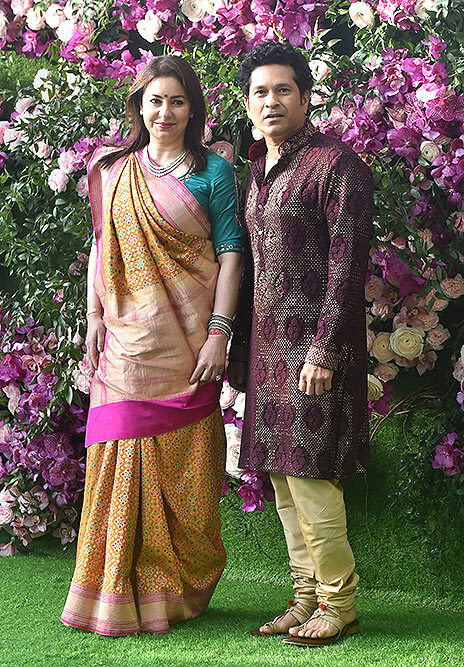 Sachin Tendulkar, Rajya Sabha MP? Genius for all its individualism reeks of sociology. Cricket is one game that belongs to the oral imagination and commentary for cricket is as important as hermeneutics for the Bible. Retelling is reliving, and both religion and cricket have that in common. School and street are an integral part of the urban imagination. They are models of life and frameworks of mobility. Here, exam and game create two parallel worlds. The legend of Sachin begins in the playing fields of Shivaji Park. 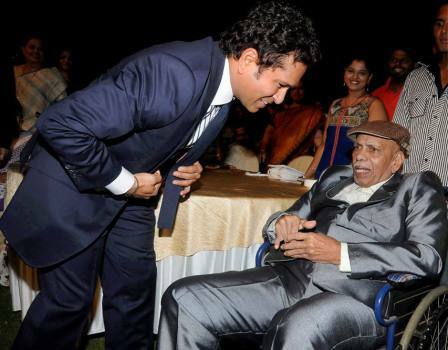 There is a Drona of the cricket field, Ramakant Achrekar. There are no Ekalavyas on the scene. But there is a Kambli. Vinod Kambli is important not just for his talent but for his zest for life. 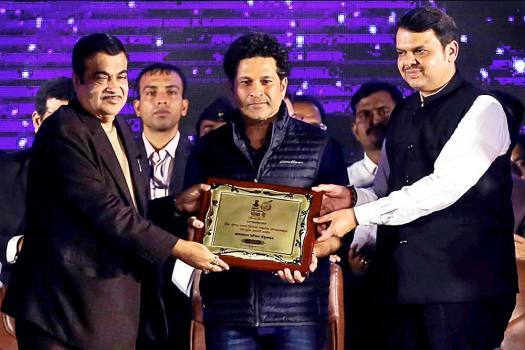 Kambli is talent that refuses to discipline itself. He is the exuberance of the street that refuses to yield to the school. Kambli is desire without discipline. He is the exuberance of the here and now that the middle class envies and despises. 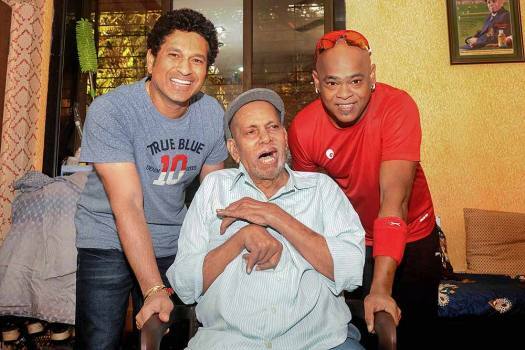 Kambli is the shortlived Sachin; the cameo of exuberance unlimited. 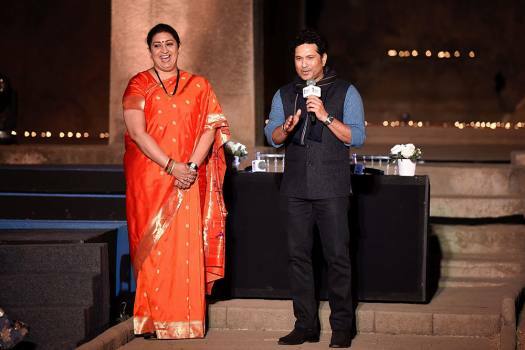 Sachin and Kambli are a middle class fable that needs more attention. 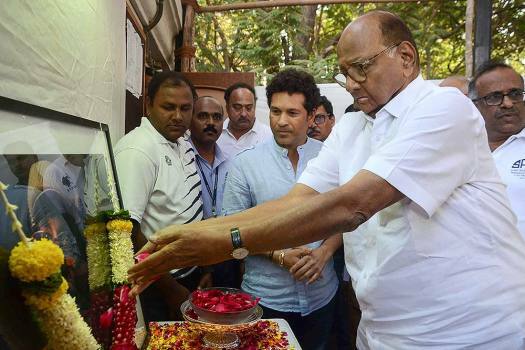 Kambli treats cricket as a site for desire, for the shortlived joy of politics, of cinema, of TV. 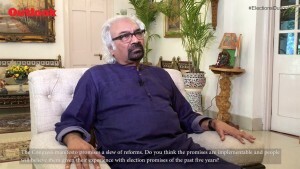 What Is Common To Satyam & ICC Ratings? How can K.C. Sangakkara be tied at #6 with the likes of IVA Richards and GS Sobers? Is Sunil Gavaskar the only Indian deserving to be in the top 20? And Mohammad Yousuf the only Pakistani at #12 in the top 33? Is S. Chanderpaul at #25 a better player than Sachin at #26? Do Brian Lara at #23 and Rahul Dravid at #30 deserve to be where they are? 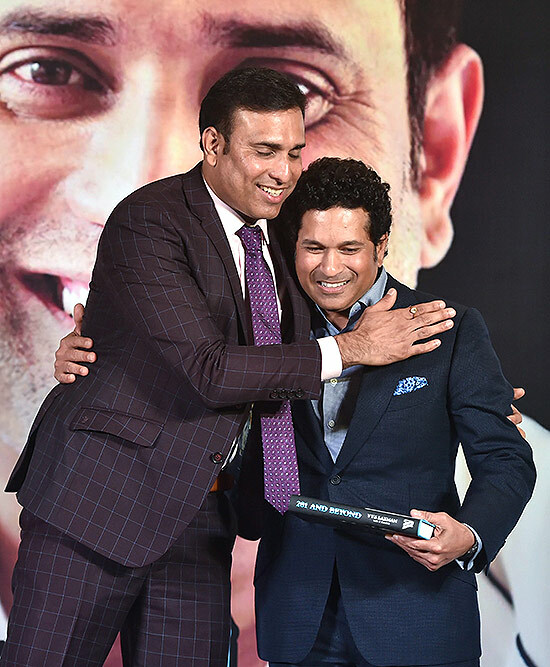 In an interview with Qaiser Moha­mmad Ali, Sachin Tendulkar, 45, spoke his mind on various aspects of India's historic Test series win Down Under. How is it that Indian Punjab doesn’t produce quality fast bowlers, while Pakistani Punjab is a virtual nursery of them? 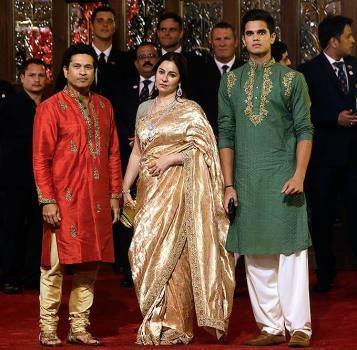 Their parents played cricket for India. Years later, their sons and daughters take guard and aim to break into the elitest of XIs. Is the Kohli-Kumble tussle real or a facade to dump the coach’s proposal for better pay? Kohli is the new talisman of Indian cricket. 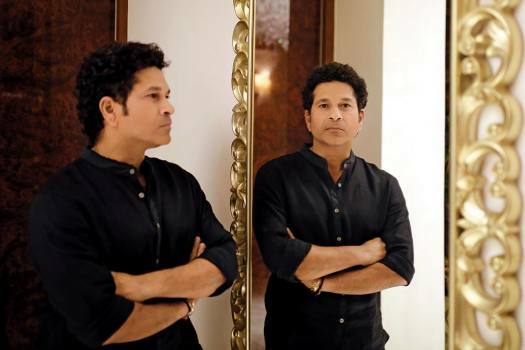 Can he, in all his match-winning splendour, match up to the Master Blaster? 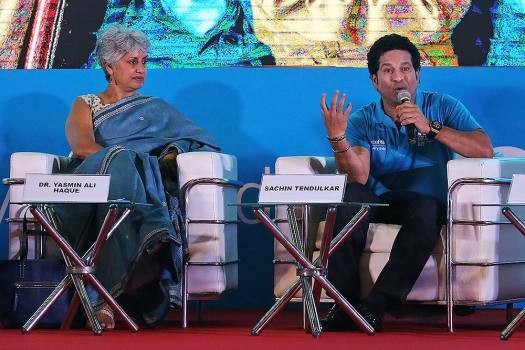 Promises to be more than Sachin’s last—digressions and comments on personalities and sketches of other fans. Deadening repetitions, oracular suggestions, recounting of records we all know by rote...just nothing beyond cricket. 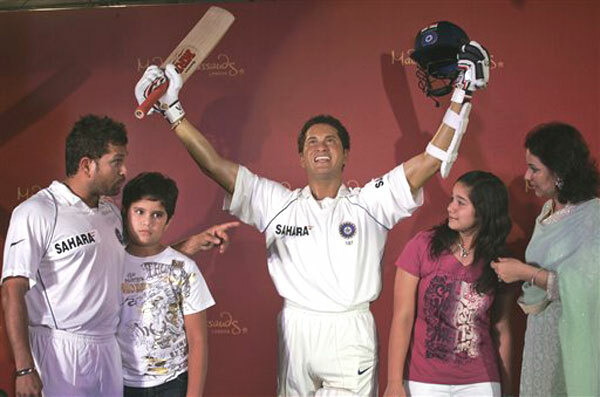 Sachin’s autobiography fails the genre.